It is adverse reaction of the body’s immune system to certain foods that are perceived to be harmful by the body. Food allergies affects about 2% of children (higher in younger children at about 5% – 8%). Most children will outgrow their food allergies by the time they are older. However, certain food allergies such as peanut and shellfish allergies may be lifelong. In adults prevalence of food allergy drops to about one percent of the total population. What are the types of foods that commonly cause allergy? Shellfish (e.g prawns, crabs, clam). Some artificial colourings or flavourings. When does one suspect food allergy? Angioedema (swelling of face, lips, tongue, around eyes). Wheezing and difficulty in breathing. 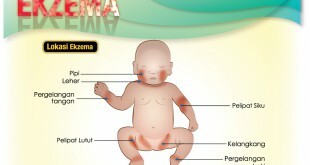 Itchy skin rashes including hives (urticaria). Abdominal pain or stomach cramps. Anaphylaxis i.e. a severe reaction associated with difficulty in breathing, swelling in the mouth and throat, decreased blood pressure, shock and even death. These symptoms usually develop very quickly within minutes to hours of ingesting the food. Similar signs and symptoms may develop in food intolerance and other illness and a doctor must be consulted for a proper diagnosis to be made. What are the consequences of food allergies? Symptoms and illness may be mild but devastating manifestations of anaphylaxis ie airway obstruction and cardiovascular collapse may occur. These severe manifestations may be fatal. Avoidance of certain foods may lead to nutritional deficiency if a substitute food is not taken for eg calcium deficiency may occur if all milk products are excluded in the diet of a child with cow’s milk allergy. Poor growth may also result from inappropriate exclusion of many food groups from the diet. It is best to consult your doctor for proper diagnosis of food allergy. Do not try to test certain foods yourself to see whether it provokes a reaction. Certain tests such as a blood test to check for antibody levels (IgE) or a ‘Skin Prick Test’ may be performed by doctors to help in diagnosis. Is there any treatment for food allergy? Food avoidance in diagnosed cases. Seek advice from dietitian when necessary to avoid nutritional deficiency. Self-administered adrenaline/epinephrine via a syringe or pen. Obtaining immediate emergency medical treatment. Antihistamine, bronchodilators, steroids, insertion of airway and intravascular fluids are often necessary. ‘Desensitising’ to particular food allergens have been used but are not standard approved treatments. Is there any prevention strategy? Breastfeeding reduce the risk of food allergies and hence exclusive breastfeeding should be practised for at least six months, especially if there is a strong family history of allergy. Be aware of hidden food substances that may not be stated in food labels. Cross reactivity to foods may occur e.g. concurrent allergy to shrimp, lobster and crab. The child and his school should be notified of his allergy and plans must be in place to handle any emergency.